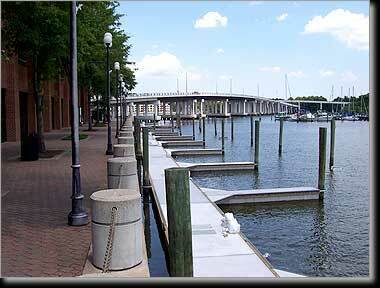 The City of Hampton has enjoyed a rich history of attracting transient boats to enjoy its downtown waterfront. Over the past 10 years, the city has revitalized downtown with projects such as the Virginia Air and Space Museum, Queen's Way Mall, Radisson Hotel, carousel, and Visitor's Center. 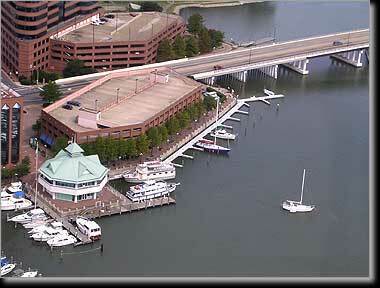 A high-speed ferry connection to Norfolk's downtown was established in 1999, and other excursion vessels are home ported along the public dockage. The city provided dockage for transient boats moored stern-to an old floating dock along the downtown shoreline. The project included replacement of all floating docks with new floating docks while retaining use of existing anchor piles. All new power and water utilities were also installed for all new boat slips. The low bidder was Bellingham Marine who supplied and installed their classic floating concrete dock system.